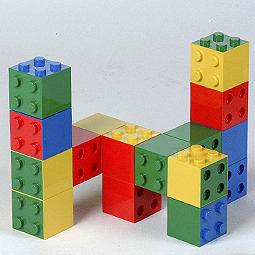 Kiblo blocks are uniquely connectable at four points on four sides. This offers children original and unrivalled building options. A unique array of colourful building is possible. From simple basic constructions to matchless 3D and other creations. 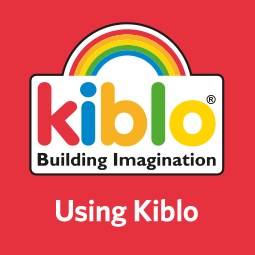 Kiblo builds colourful tall towers and wide span bridges quickly, easily and stably. Secure connection is balanced with ease of separation. 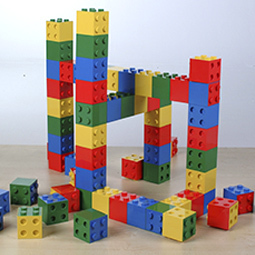 Kiblo’s proprietary 4-sided connection allows children to build with height, width and depth. 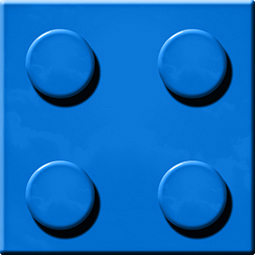 This facilitates distinctive 3 dimensional building, unique to Kiblo. 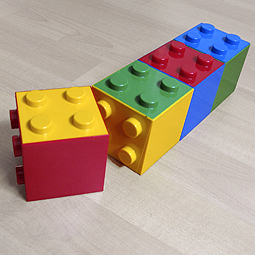 Kiblo building blocks also connect by either one or two studs. 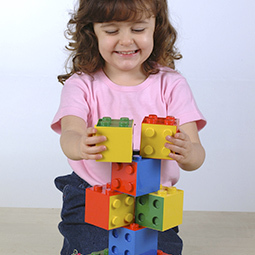 Building progresses with age or ability, from simple stairways to uniquely hinged models. 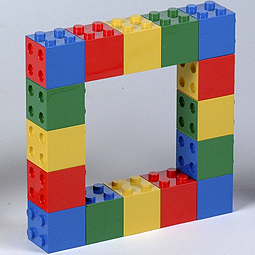 Try connecting four dual-coloured blocks so that all four colours are revealed top, bottom and sides. Easy? Even adults are tested! Kiblo aids physical as well as mental dexterity. Developing reasoning, hand to eye coordination and motor skills.